McALLEN — The city will no longer fund Comfort House and the Rio Grande Valley Literacy Center, city commissioners voted at a budget hearing on Wednesday. Commissioners will make a final vote on the 2018-19 Fiscal Year budget in September, but the commissioners present at Wednesday’s budget hearing voted to nix funding to the two non profits. Comfort House, the short-term facility for terminally ill patients, requested $19,589 from the city for the next fiscal year, which begins in October. The RGV Literary Center requested $18,138. Comfort House has been mired in controversy in recent years. Its previous director was District 6 City Commissioner Veronica Whitacre, who resigned last year. The Comfort House board hired Whitacre when she was a city commissioner. The U.S. Housing and Urban Development, which has historically given money to the hospice facility, saw Whitacre serving as commissioner and director of the facility as a conflict of interest. That conflict caused HUD to deny Comfort House $50,000 in 2016. City commissioners also voted to give the hospice facility no funding that same year because of what Commissioner John Ingram said was a “bad decision” from the Comfort House board to hire a city commissioner. After a multi-year battle of how to handle Comfort House funding, Whitacre resigned a year ago from Thursday. 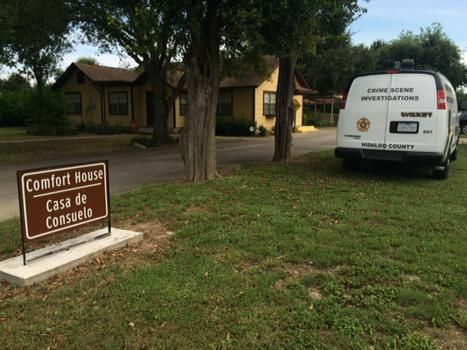 “Comfort House deserves to continue serving the city of McAllen in the capacity it has for 28 years, and the reason I’m resigning is to give them that opportunity,” Whitacre said at the time of her resignation. However, city commissioners continue to punish Comfort House. Ingram and Commissioner Omar Quintanilla argued about how to sanction Comfort House at the 2017 budget hearings, with the two failing to agree on a solution. Wednesday night, city commissioners voted to cut Comfort House funding, with Quintanilla being the lone “nay” vote. Whitacre and Commissioner Aida Ramirez were the only two commissioners absent. This story was updated to reflect that Commissioner Omar Quintanilla did not vote to cut Comfort House funding.